Rugged “Maze District”route ends at sprawling overlook. This is the closest trail to the ranger station and the shortest drive to an outstanding overlook. 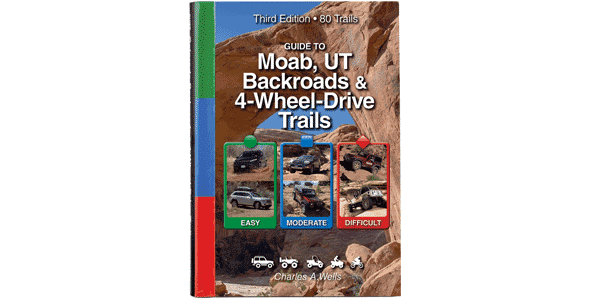 If you only have a single day to visit this area from Moab, this is the one trail you can do on a single tank of gas if you top off in Green River. If you have to choose between Cleopatra’s Chair and Panorama Point, choose the latter. Make sure you read the Area 5 introduction on page 198. It describes critical rules and regulations for the area and important driving tips. A mix of steep, rocky descents, small rock ledges and easier two-track stretches of dirt road. Okay for stock SUVs with high ground clearance, 4-wheel drive and low-range gearing. Tougher spots require slow speeds and careful tire placement.